Use for berries, cherry tomatoes, olives, grapes... anything you want to rinse and strain. The holes in this bowl are designed to allow water to drain and air to circulate keeping your fruit fresher longer. It comes with a matching saucer to set under the bowl to catch any leftover drips. The bowl is wheel-thrown. Once leather-hard, I created the holes and trimmed the foot so that air can circulate under and through the bowl when it is on the table or sitting in the saucer. 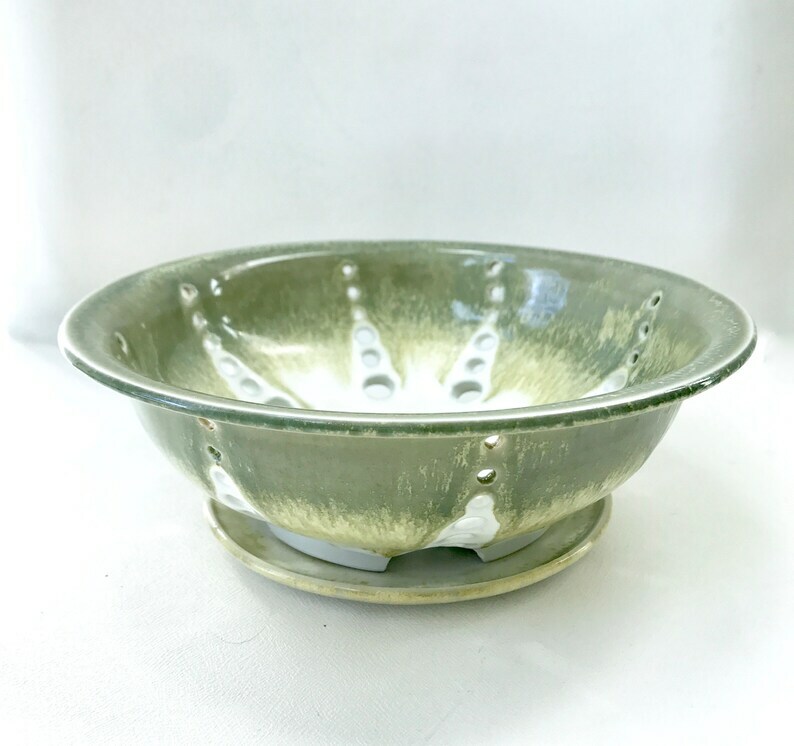 The top of the bowl and saucer have a light olive green appearing through a beautiful semi-matte white glaze. Saucer is 4 3/4" wide.